-Once a month a 3 hour phone or Skype call including a lesson from Jennifer Ayres and time to give and receive support for your specific circumstances. 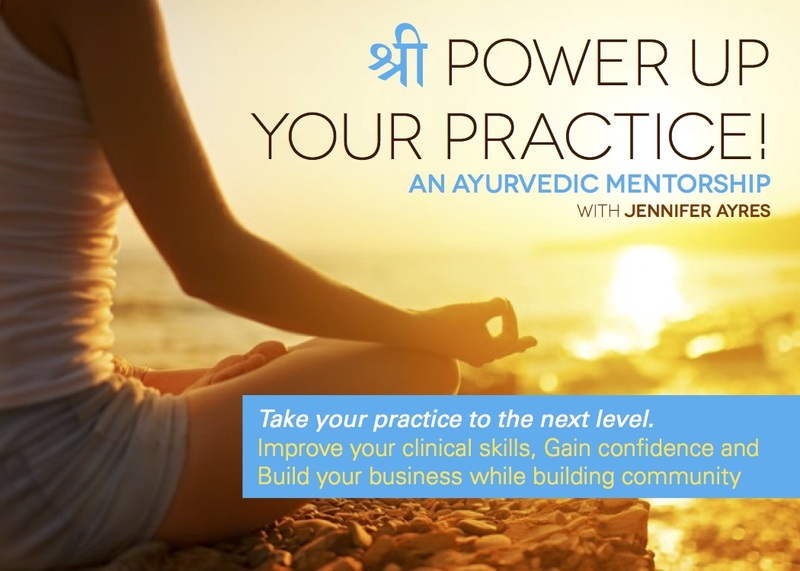 -Once a month a 1 hour phone call one on one with Jennifer Ayres to receive support around specific cases, to clarify Ayurvedic theory, or any other topic needed. Must have all requirements stated above as well as at least one year experience as an independent practitioner outside your academic program. $200/month for 4 months or $700 if paid in full before the first scheduled class meeting. $200/month for 6 months or $1000 if paid in full before the first scheduled class meeting. Monthly payments are due the first of each month the classes are occurring within. Participation is dependent upon timely payment. Payments can be made though paypal: willowleaf@hotmail.com; following link below; OR email your choice of payment and receive an invoice to pay by following the links through Square. Next Round Starting April 2018! !